‘Defying Gravity’ is out on CD, deluxe CD/DVD, LP and digital formats, with a limited deluxe collector's edition box set. “OK, we’re rolling.” With those three declarative words (spoken by producer Kevin Elson right after the music kicks in on ‘Open Your Eyes’, an instant callback to the start of ‘Addicted To That Rush’, the hard-charging lead track on the band’s self-titled 1989 debut), Mr. Big plants the flag between past, present and future with ‘Defying Gravity’, the band’s ninth original studio album. 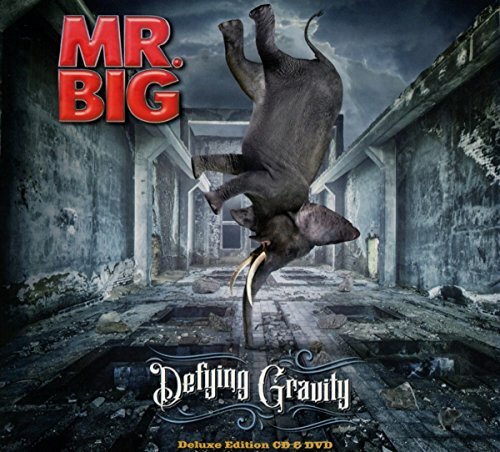 Recorded in just six days at Ocean Studios in Burbank, California, the album reunites Mr. Big with the aforementioned Elson (Journey, Europe, Lynyrd Skynyrd), who is back behind the boards for the first time since helming the band’s first four albums. ‘Defying Gravity’ deftly showcases that patented Mr. Big blend of crunch and melody, from the freight-train ride of ’Open Your Eyes’ to the harmony-laden wonderment of ‘Damn I’m In Love Again’ to the nostalgia trip of ‘1992’ (recalling the days when the band was flying high atop the singles charts with their international smash ‘To Be With You’) to the barnstorming slide-blues closing track, ‘Be Kind’. Overall, the album is prime evidence that all Mr. Big remains tethered to is their ongoing pursuit of creative excellence. “It’s inspiring to work with Mr. Big,” observes guitarist/songwriter Paul Gilbert, who penned much of the new album. “I know that any ideas I bring into the studio have to go through our long-established band filter, which means the songs all have to rock, have melody, and put a grin on the faces of all my bandmates to make the final cut.” What that means is Gilbert, vocalist Eric Martin, bassist Billy Sheehan and drummer Pat Torpey all have to agree on the finished product, as does touring drummer Matt Starr, who also joined in on the studio proceedings for the album.